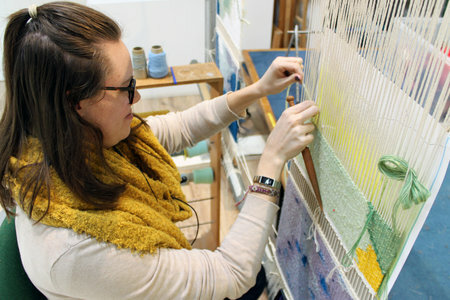 Recent graduate of the Postgraduate Diploma in Tapestry & Textile Art and recipient of the Valerie Power Prize, West Dean alumnus Anne Alldread has been working in the Visual Arts department for two weeks as the final Artist-in-Residence of 2013. 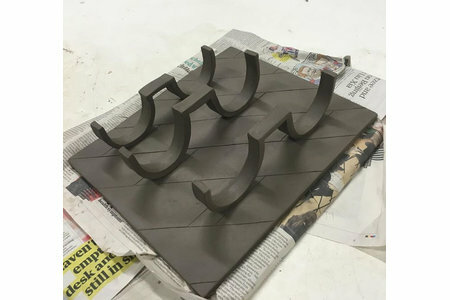 Since finishing her programme of study in the summer, Anne has since secured studio space in her native Derbyshire, where she has continued producing sculptural objects that incorporate a variety of different forms, materials and skilled production techniques. 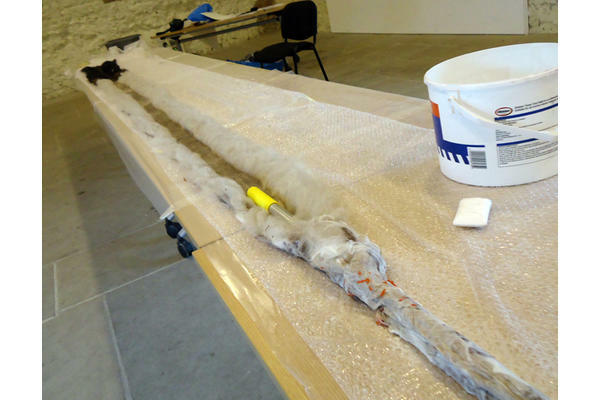 She has also been running a series of workshops that explore the kinds of materials and methods she makes use of in her own practice. 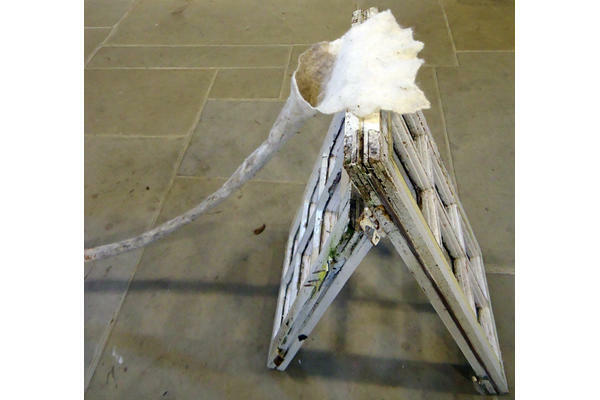 Anne's work can incorporate found objects, often placed in contrast to other more industrial or manufactured materials, playing on contrasts between natural and man-made textures. As well as items that might be sourced from the college grounds or the wider West Dean Estate, Anne employs materials such as steel, wood and concrete―whether in the form of discarded window frames or specifically cast modular units. 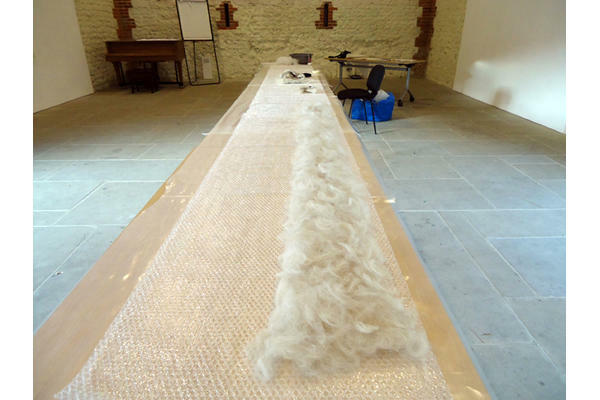 As part of her residency, Anne is keen to develop the site-specific aspect of her work, in this case responding to a specific space―the Sussex Barn Auditorium, adjacent to the Visual Arts department―in which she has previously installed her work. 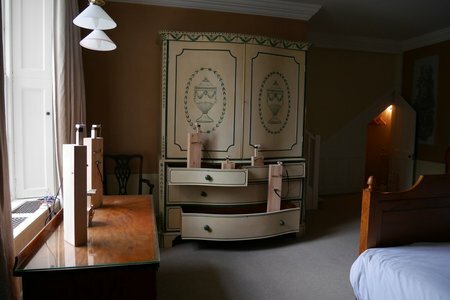 As such, she will re-address a familiar site and assess both its associated problems of display and its potential opportunities. 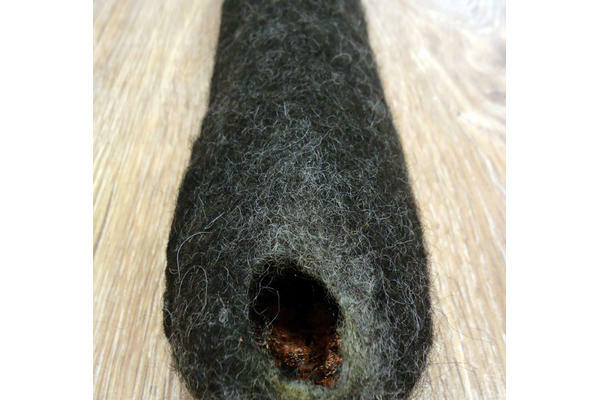 Another aspect of Anne's proposal outlined a focus on the use of felt, both in the production of a body of work during the three-week residency, where an installation will make use of the material and/or process in different ways, but also as a general subject for research. 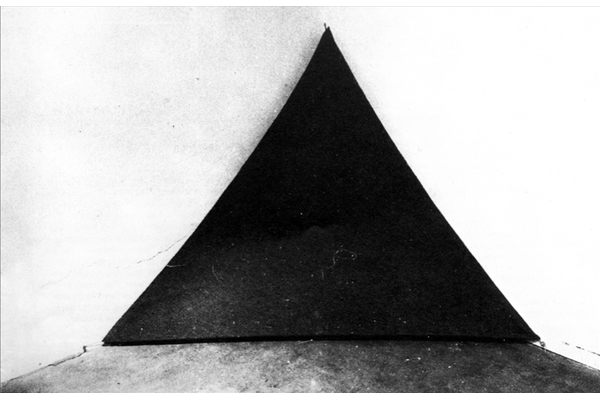 As well as its uses in traditional and nomadic communities as a building material, clothing, as well as an aesthetic object, felt is also renowned for its radical appearance in the work of 20th century artists such as Robert Morris and Joseph Beuys. Its potential as a medium of contemporary art and craft is still to be fully explored. 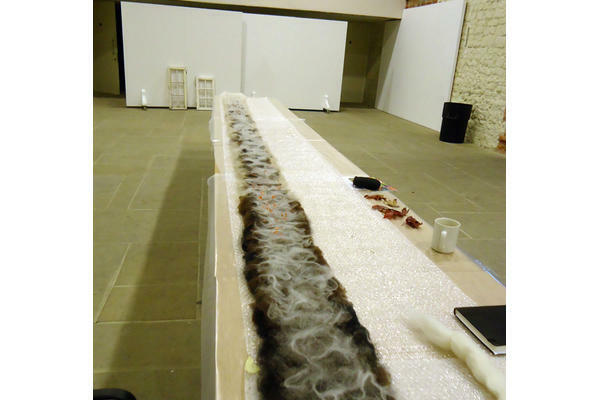 As many of these work-in-progress images demonstrate, Anne has already been conducting fruitful experiments with wet felting―a process whereby natural wool fibres are agitated with soap and water until they begin to 'tack' into each other, building up a sturdy composition―as well as approaches to cutting, layering, building up the thickness of the material, and indeed introducing other materials into the felt-making process.As part of her residency, Anne will be talking about her recent work in the Sussex Barn Auditorium on Thursday 12th December at 4pm.